The event is co-sponsored by the Carolina Farm Stewardship Association and Whole Foods Market. Advance tickets are $25 per carload or cycle group. Tickets are good for both Saturday and Sunday from 1-5pm and can be used to visit all of the farms on the tour. Day-of tickets are $30 or $10 per farm. Local expert Bob Davis will be available in Durham and Raleigh to field questions about caring for chickens in the city. His workshops will be at the Interfaith Food Shuttle Farm on Saturday and the SEEDS Garden on Sunday. Tour-goers can use the maps available through our website or in the tour booklet to determine which farms to visit and find their way. Tour goers are encouraged to bring a cooler. There will be lots of fresh vegetables, eggs, cheese, meat, and other products for sale at the farms. For more information and tickets, go to www.carolinafarmstewards.org. 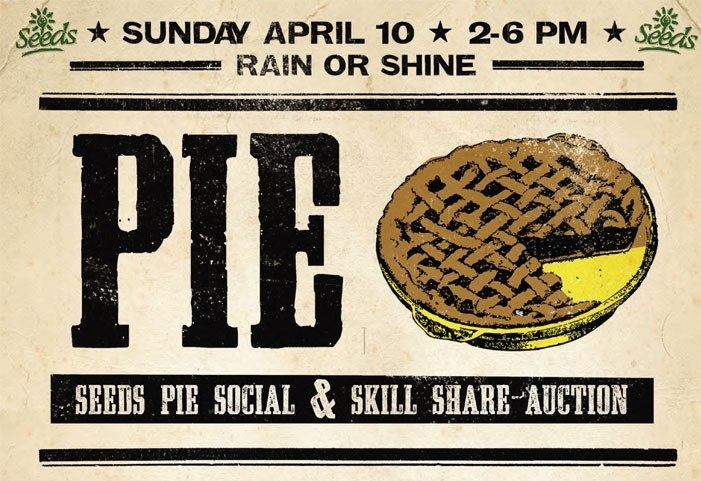 Coming up on Sunday April 10 is a great event called the SEEDS Pie Social. SEEDS, which stands for “South Eastern Efforts Developing Sustainable Spaces”, is a non-profit organization based in Durham that focuses on getting urban youth engaged in sustainable food activities, from participating in community gardens to entrepreneurial activities. The event will feature music, garden tours and an auction. In the auction, instead of bidding for things, you’ll bid to learn fun and interesting skills from fellow community members, like how to spin fire, reupholster a chair, brew beer, fly a plane, play capoeira and more. In addition, there promises to be great food as well. Pies, both sweet and savory, are being donated by many of Durham’s best eateries, including Toast, Watts Grocery, Scratch Bakery, Foster’s, Four Square, Dos Perros, Pie Pushers, Durham Catering, The Farmer’s Daughter, Daisy Cakes, Dame’s Chicken and Waffles, Parker and Otis, Papa Mojo’s Roadhouse, Piedmont and others. All proceeds benefit the Durham Inner-city Gardeners (DIG) program at SEEDS. DIG is a youth-driven, urban farming leadership development program that empowers young people by teaching organic gardening and healthy life skills while providing them with meaningful employment and job skills. A suggested donation of $10 will get you up to 4 pieces of pie. Saturday evening we drove back out to Saxapahaw. It was a perfect day for a lovely drive in the country. The gas station/general store/restaurant was bustling when we arrived around 6pm. They had a great menu scrawled on the chalkboard – coconut braised pork shoulder with fried bananas, braised local short ribs with mashed potatoes, local beef & pork meatloaf, walnut-crusted trout, and so on. It’s true farm-to-table eating, as everything is sourced locally and sustainably, and just about everything is made in-house in the tiny kitchen behind the counter. After surveying the menu, we walked up the sidewalk to the new sit-down restaurant and bar adjacent to the gas station. It’s called The Eddy. A massive wooden door leads you into a beautiful sun-lit space. It’s small but cozy and very inviting – all rustic wood tables and chairs, complete with a bar and nice patio. I perused the menu, which offered similarly delicious-sounding items and prices (roughly $12-18), with a few additions like pork carnitas. The looks of the fresh bread on the tables and the promise of full table service were tempting, but it was crowded, and we walked back down to the gas station and placed our orders down there. I went with a rock shrimp “pad thai” and my wife chose a duxelle stuffed chicken dish with mashed potatoes and green beans (both $12). As we experienced on our previous visit (see post here), it can take a long time to get your food. My wife’s arrived as a giant chicken leg with a delectable mushroom mixture tucked up under the golden skin, all resting on a bed of the potatoes and some brown gravy. Mine was a much simpler bowl of noodles, but it was loaded with shrimp and topped with sesame seeds and peanuts. It was spicy and filling, and the noodles were nicely cooked, but the dish probably could have benefited from more cilantro. The chicken dish was also very good but wasn’t served hot enough. That was kind of surprising considering how long we had to wait for the food. As I observed on our first visit, everything was flawlessly seasoned. In the end, it was richly satisfying food and a superb value considering the quality of the ingredients and the execution. We ate it all up and vowed to return again. The 5th Annual Eastern Triangle Farm Tour is coming up on Sat. & Sun. Sept 18 & 19, from 1 to 5 PM. This is a great way to learn about regional agriculture in general, and in particular about where some of the best local food comes from. From the organizers: This year there are a record twenty-four sites on the tour, including eight new farms! We will be showcasing ten farms with sustainable and humane livestock operations, getting the word out about healthy, local meat options. 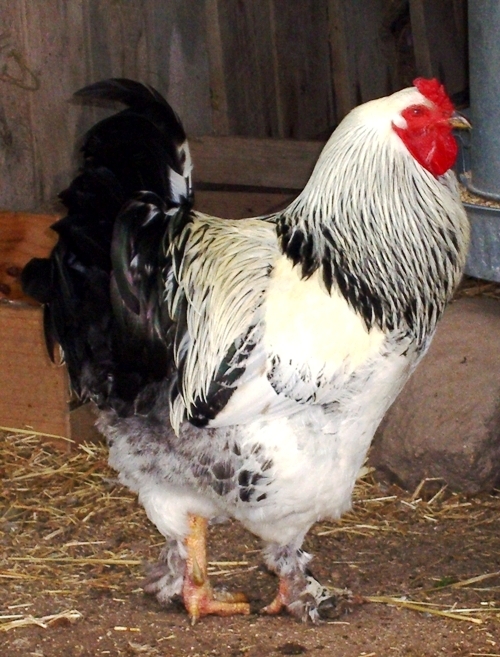 Several are Animal Welfare Approved and all have beautiful animals! On the urban scene, we are happy to welcome an urban mini-farm in Durham (Two Ton Farm sponsored by Bountiful Backyards) and the farm of the Inter Faith Food Shuttle in Raleigh. These farms, along with the SEEDS Garden in Durham, highlight how to grow a lot on small acreage in the city and how youth can be engaged in the movement. Another newcomer to the tour this year is Durham County’s newest goat dairy; located in Bahama, Prodigal Farm has 65 goats and a brand new milking parlor and cheesemaking building. We will have mushrooms again (Spain Farm) and honeybees for the first time (Betsey’s Bee Farm.) And, of course, the tour includes a strong collection of vegetable, flower and fruit producers, where foodies and growers can learn about organic and sustainable horticulture practices.